Every year the J.J. Pearce Pacesetter Drill Team holds a Holiday Bazaar full of beautiful handmade crafts and holiday decorations. (Being a Berkner Bandolera alumni, I support all dancing queens! )After all what a great way to support a local high school full of talented beauties while snagging up loads of wonderful goodies for Christmas presents yet to be found. There we were getting our shop on when we spotted these lovelys! 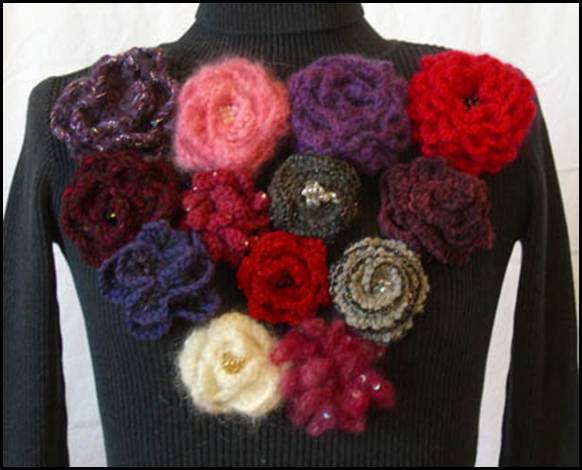 Knitted Flower Pins. Aren't they stunning! I snatched up two immediately and headed to the register I couldn't contain my excitement! 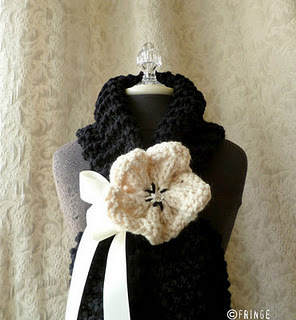 What a wonderful way to snaze up a beautiful scarf or sweater! 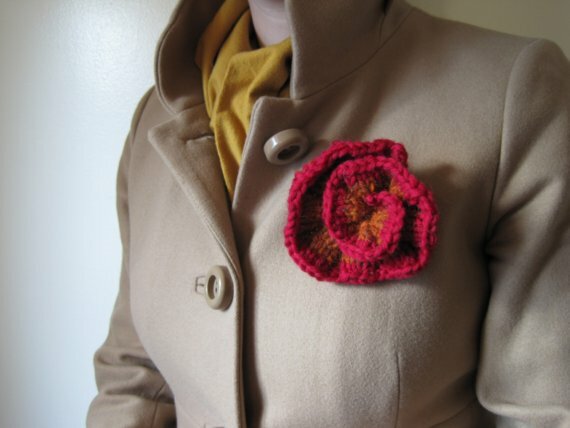 Even a jacket looks so chic! Can you blame me for all my giddiness? They are the ultimate present and I can't wait for all my girls to unwrap! Being the wonderful internet surfer I am I went home to search for more! I just had to share my beautiful find with my fellow bloggers! Here it is! 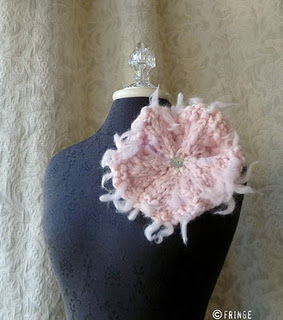 A lovely little shop on my favorite website Etsy selling what else Flower Pins! Fringe is an amazing shop with so many beautifully handcrafted goodies! I would love to have one of everything if you know what I mean! Take a look! As Rachel Zoe would say I DIE!!! I love my girls they are so talented!